Now is the time (and it’s your birthright) to connect to your Jewish roots. 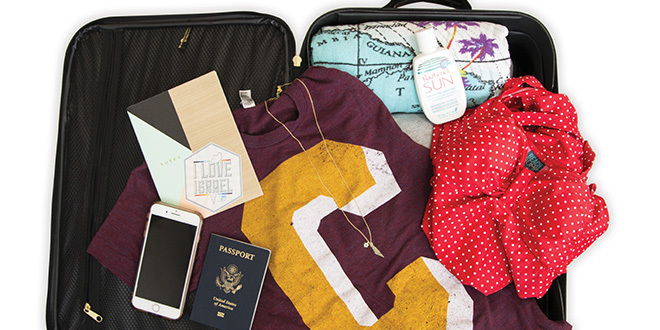 Check out some suggested packing items from past participants that will explain why this trip is the one for you! I'm never going to get an opportunity again to go on a FREE 10-day trip to Israel, so I want to make sure I jot down all my experiences. Israel is absolutely beautiful, so I'm making sure to capture every moment while I'm here! I'm adding another stamp and more memories as I travel the world with fellow Jewish Clevelanders. From hiking Masada to tubing in the Jordan River - sunscreen is always a must in Israel. It has been so powerful to be in Israel and connect with my Jewish roots.